My granddaughter Hunter is turning 6 on March 29th. I usually do her birthday and my other granddaughter’s on the same day. However this year I was going to the Artic for a few months and decided to do all 3 of their birthdays together as the other granddaughters birthday was before I left. 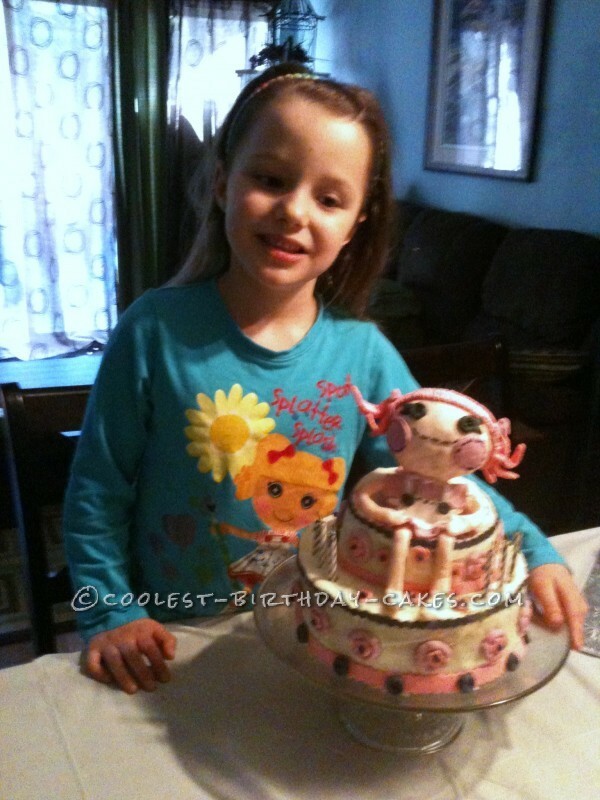 She informed me she wanted a Lalaloopsy doll cake. Back to search the web for this one! 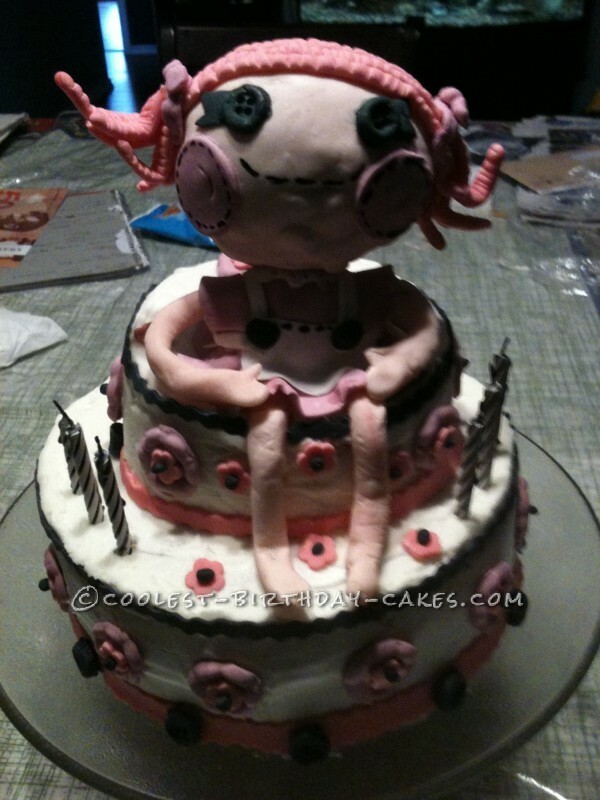 LOL It was pretty easy to do the body out of fondant and gumpaste mixture but the head was a nightmare. I made the first one and put it on the body overnight but in the morning it fell off. The head was not shaped as well as I liked so I added to it for the hair. It just wasnt going to dry as it was so big. It took 4 tries but I finally got it when I decided to try covering a cardboard egg I had with the fondant. Bingo! It worked great and the cake was a hit! Hunter even wore her Lalaloopsy doll tee-shirt for the party.